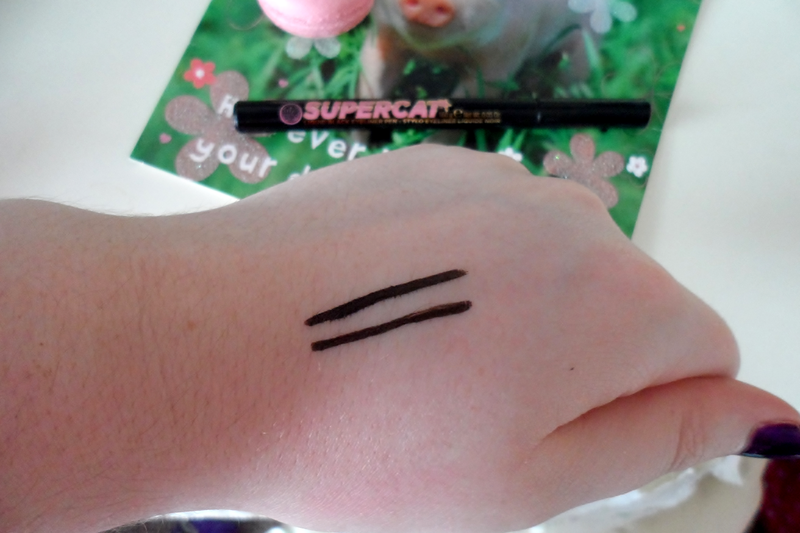 I got Supercat as part of my birthday present and was excited to give it a try. (Note: Gel liner is my holy grail and I adore it, however myself and liquid liner are just not friends. Never have been and never will be.) Thinking I hit the jackpot with this product for so many reasons, it quickly replaced my gel liners and I was using it everyday. 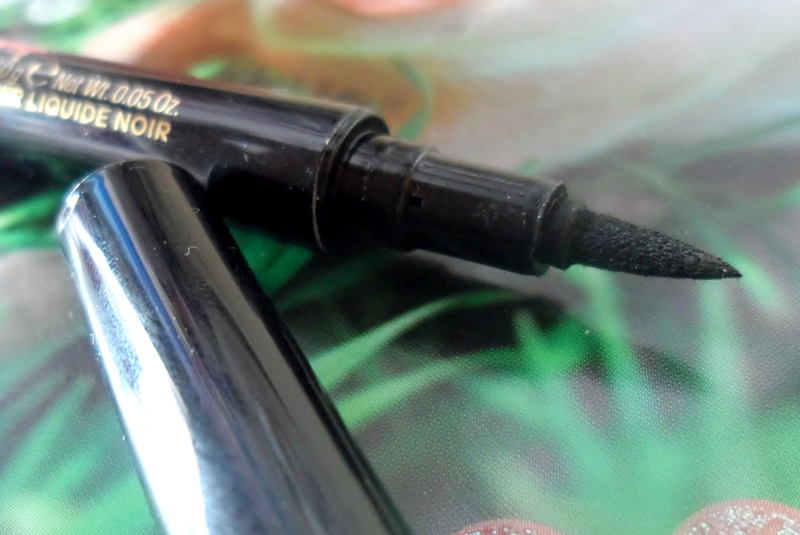 The pen lets you create the perfect winged liner in seconds and it's black! (Like you know how you get some "black liners" and they're not actually black they're grey.) It also removes so easily like literally one swipe with my Garnier micellar water and it's as if I didn't even have it on which is great because there really is nothing worse than having to scrub a product off your eye. So while praising this product to everyone I know I never thought about it not being water-proof. So the other day while walking to some shops it was windy and when the wind is constantly blowing on my face my eyes water and straight away I thought 'oh no' because I hadn't thrown any makeup into my bag. I used my phones camera as a mirror to have a quick look and my liner was everywhere. And I mean everywhere. (Luckily my house was only 5 minutes away so I went home to remove the liner and fix up my makeup before heading back out) So that slightly changed my view of this product. I still adore it I just wont be as quick to use it when I'm walking outside or around town unless I know I'm going to be in the car going to the shops and not walking a distance. 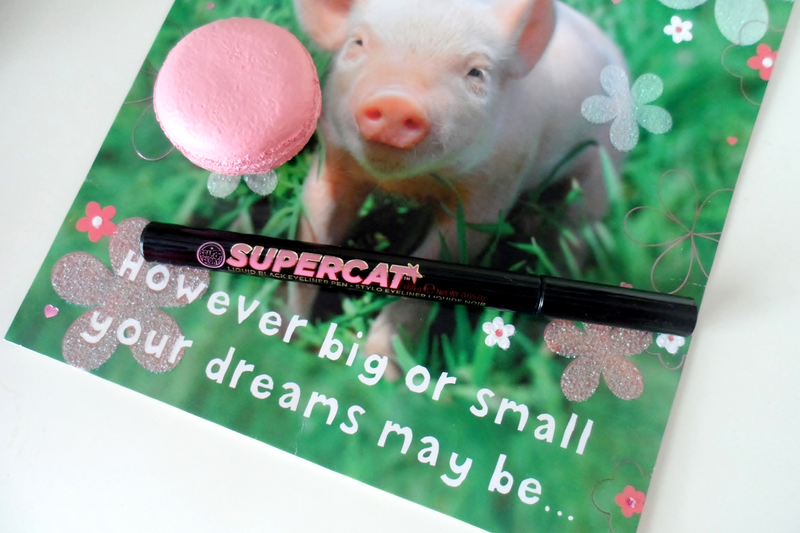 Have you tried Supercat liner? Shame it isnt waterproof, it sounds so lovely! But being waterproof would make it 10x better!! I've actually never used anything other than Barry M liquid eyeliner, but this sounds good so I might give it a go! :) Shame about it not being waterproof though - lucky you were close to home!